Marshall Ware rebuilding the temple. A nursery is provided for children from birth to four years of age during Sunday morning. It is encouraged that young children be brought to the Sanctuary for the Children's sermon and returned to the nursery if needed. Seasonal Children's Parties as scheduled and advertised; Elementary Activity Nights as scheduled. 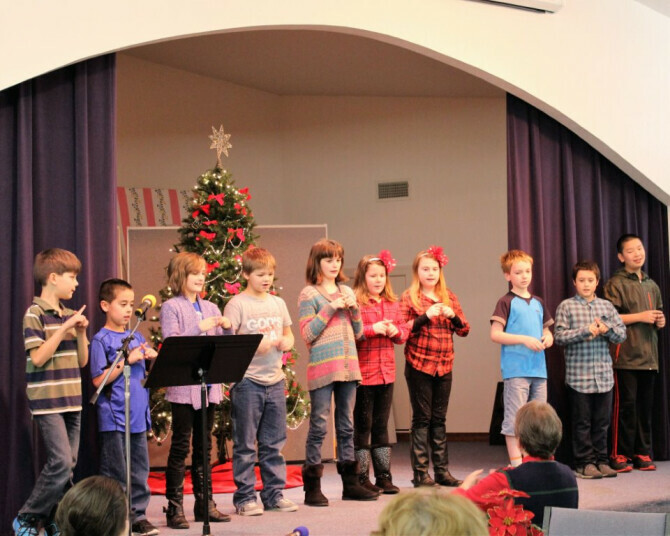 All Stars is a Wednesday evening children's program which meets from 4:45 - 6:30 pm for Children age 4 - Grade 6. An evening meal is provided. The program included songs, games, crafts, other activities, and, of course, Bible stories and lessons. Transportation is available if needed. For more information, call BRBC at 922-0692 or Ann Webb (Children's Ministry Director) at 501-802-1346.